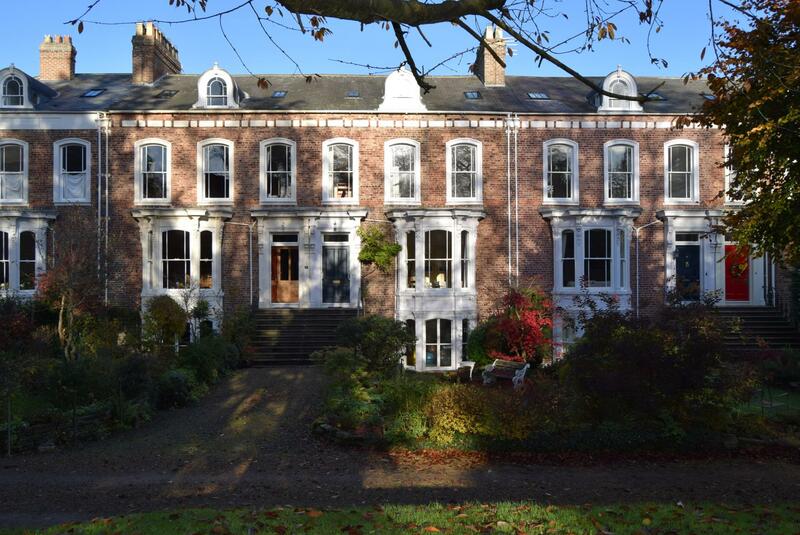 This is a stunning four storey family home positioned in this truly unique Grade II Listed terrace which dates back to 1864. The property offers very versatile accommodation with fabulous reception rooms, five bedrooms and a private courtyard garden. 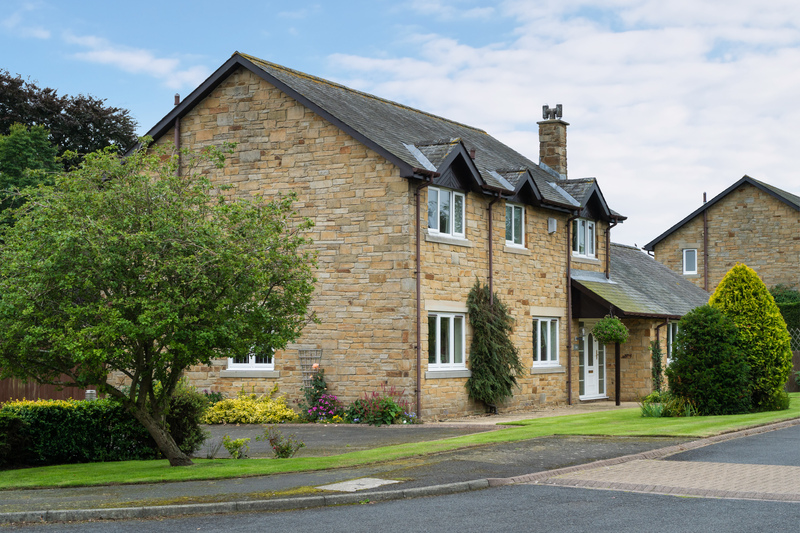 This is an excellent family home in a highly sought after location. The property has gas fired central heating throughout. 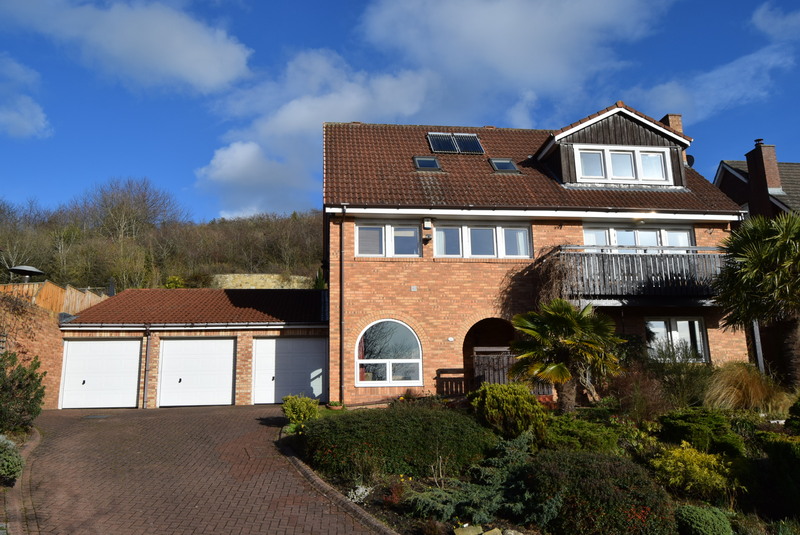 This superb family home is realistically priced and we strongly recommend an internal inspection in order to fully appreciate its noteworthy features and space. 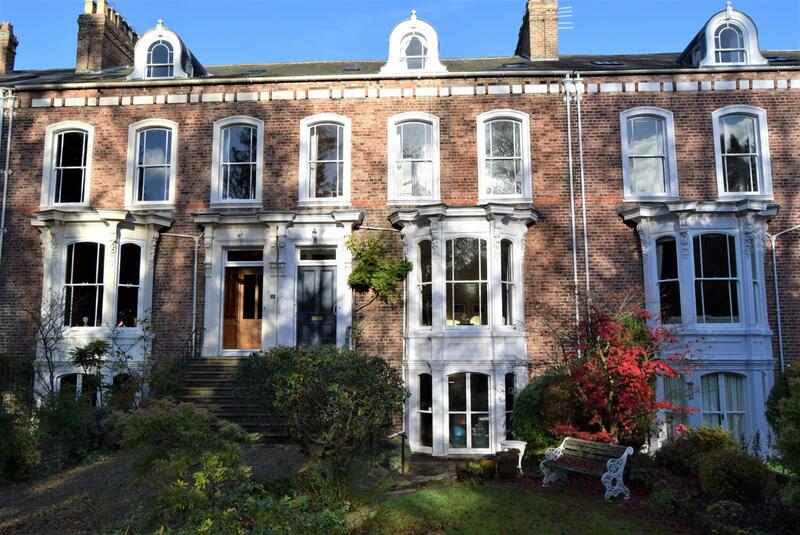 This is a STUNNING FOUR STOREY FAMILY HOME POSITIONED on HOLLIN HILL TERRACE, this is a TRULY UNIQUE GRADE II LISTED TERRACE which DATES BACK to 1864. The property OFFERS very VERSATILE ACCOMMODATION with FABULOUS RECEPTION ROOMS, FIVE BEDROOMS and a PRIVATE COURTYARD GARDEN. 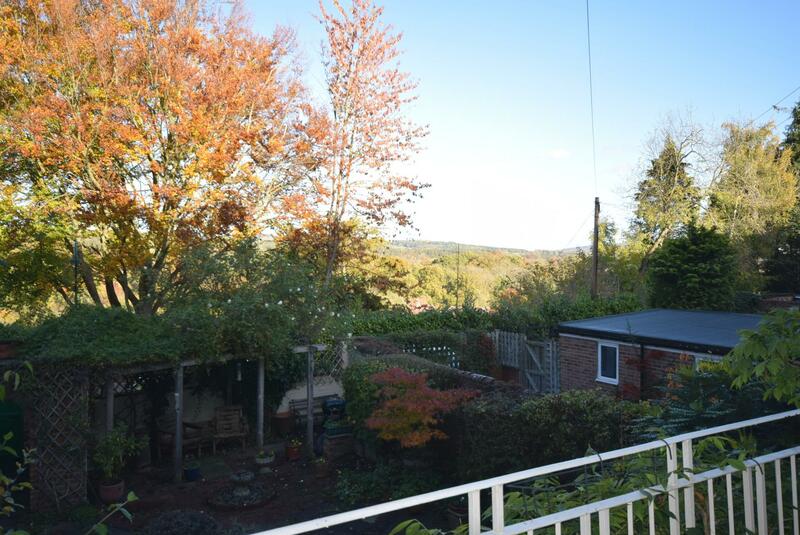 This is an EXCELLENT FAMILY HOME in a HIGHLY SOUGHT AFTER LOCATION in RIDING MILL. The property has GAS FIRED CENTRAL HEATING THROUGHOUT. 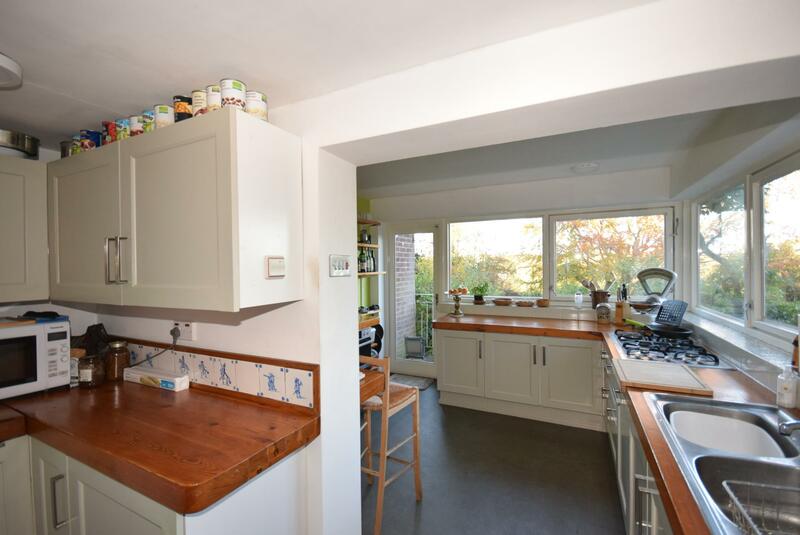 This SUPERB FAMILY HOME REALISTICALLY PRICED and we STRONGLY RECOMMEND an INTERNAL INSPECTION in order TO FULLY APPRECIATE its NOTEWORTHY FEATURES and SPACE. This is a stunning four storey family home positioned in this truly unique Grade II Listed terrace which dates back to 1864. The property offers very versatile accommodation with fabulous reception rooms, five bedrooms and a private courtyard garden. 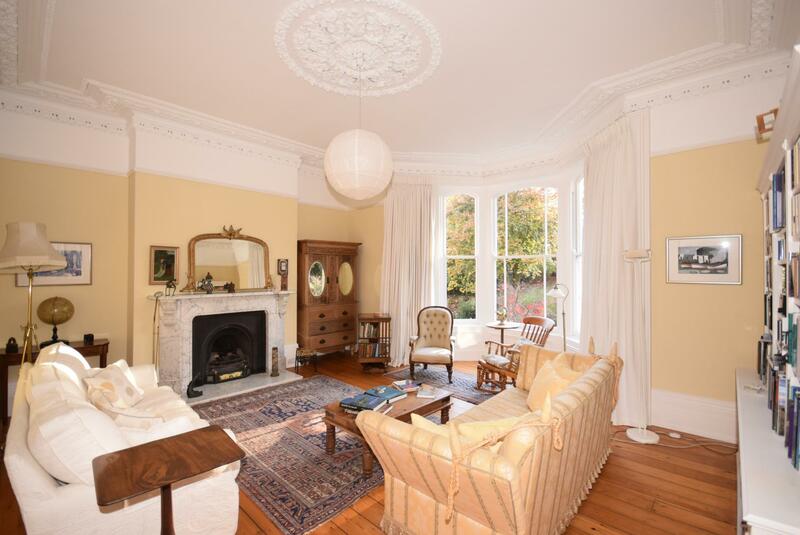 The property enjoys an open aspect and boasts fabulous noteworthy features throughout including the fireplaces, ornate cornice ceiling and ceiling roses along with heavy panelled doors. 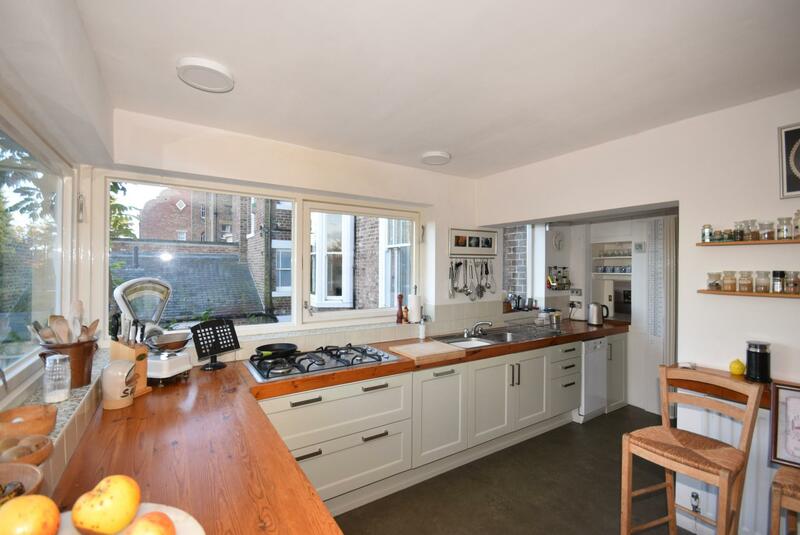 This is an excellent family home in a highly sought after location and briefly comprises; entrance vestibule, a spacious central hallway, drawing room, separate dining room, kitchen/breakfast room. 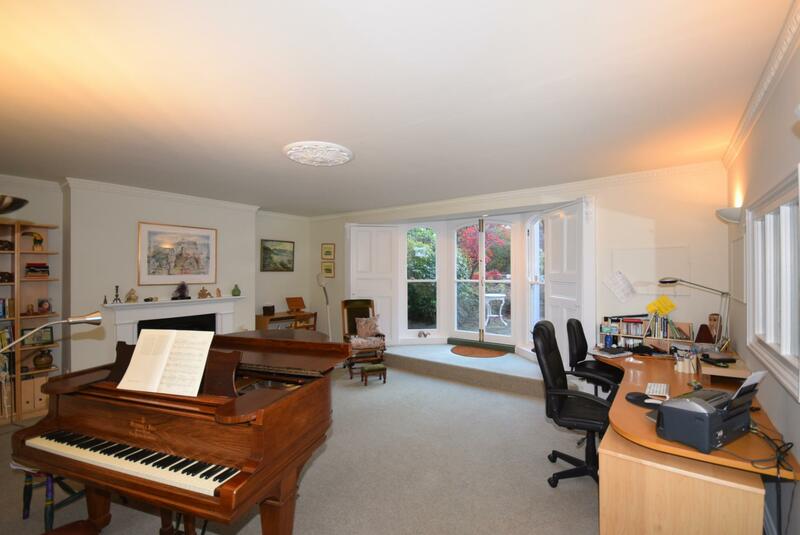 To the lower ground floor is an additional sitting room currently used as a music room, a morning room with a utility to one side, cloakroom, porch and workshop. Upstairs the first floor landing provides access to a second cloakroom, three spacious bedrooms and then the second floor provides the bathroom and two further bedrooms and box room. 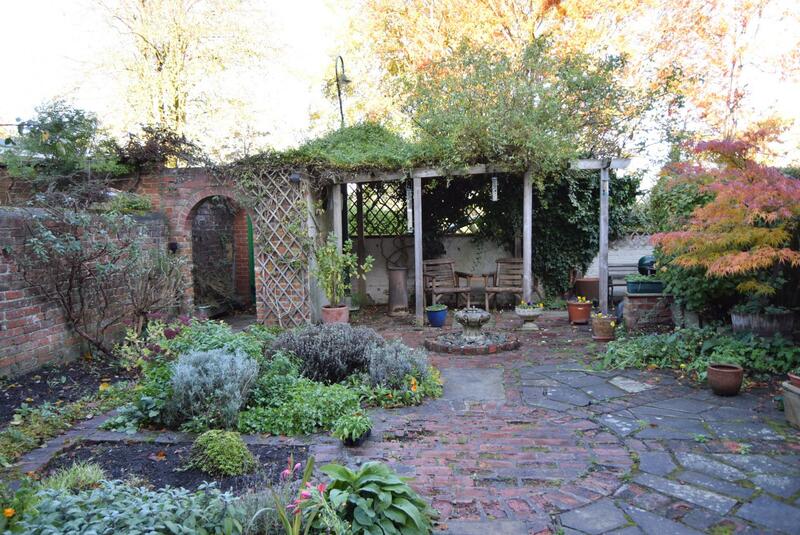 The property has gas fired central heating throughout. 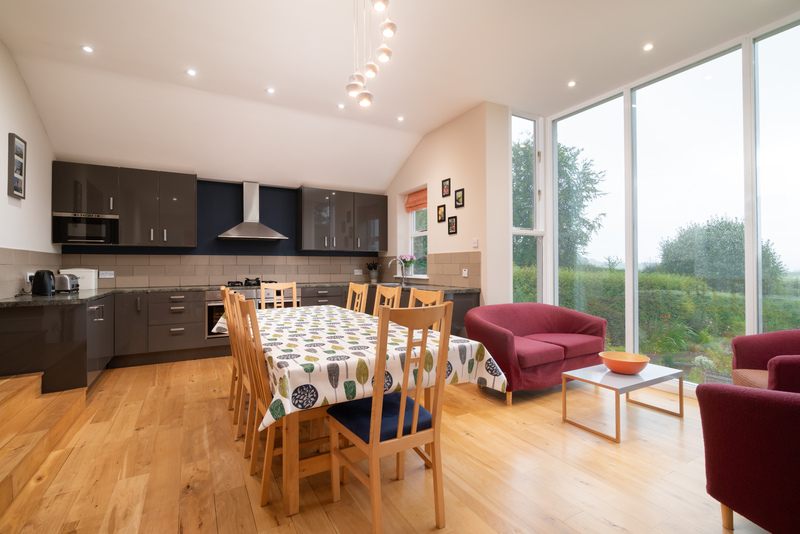 This superb family home is realistically priced and we strongly recommend an internal inspection in order to fully appreciate its noteworthy features and space. 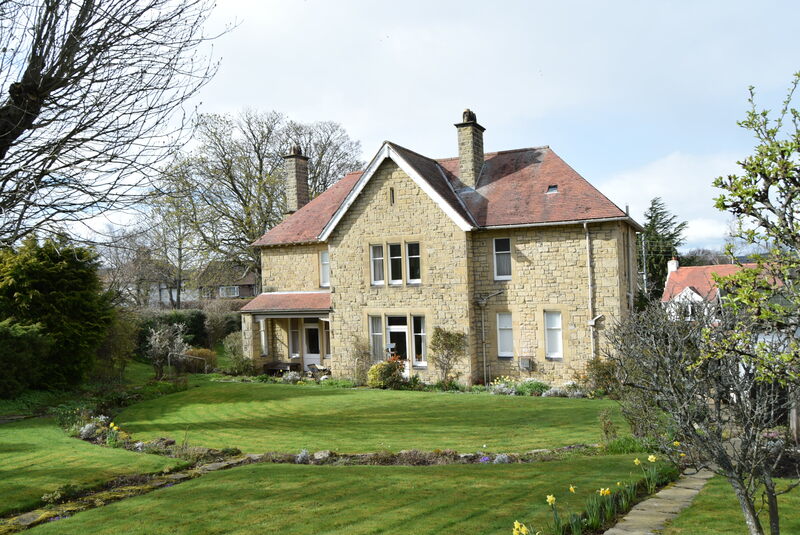 Access to the property is gained to the front gravelled driveway, where there is a lawned garden and steps leading up to the main entrance door at raised ground level. With solid wood flooring and a glass panelled door leading to the hallway. 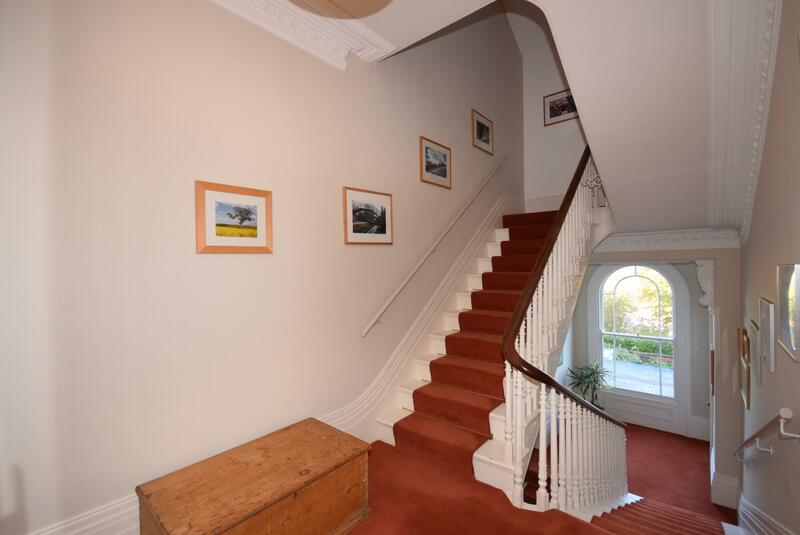 A spacious central hallway with decorative ceiling coving, rose and architrave, stairs leading to the first floor with stair carpet runner. A fabulous principal reception room with decorative ceiling coving, rose and picture rail and a sash bay window to the front elevation. There is a gas fire with marble surround and hearth, stripped and stained wood flooring. 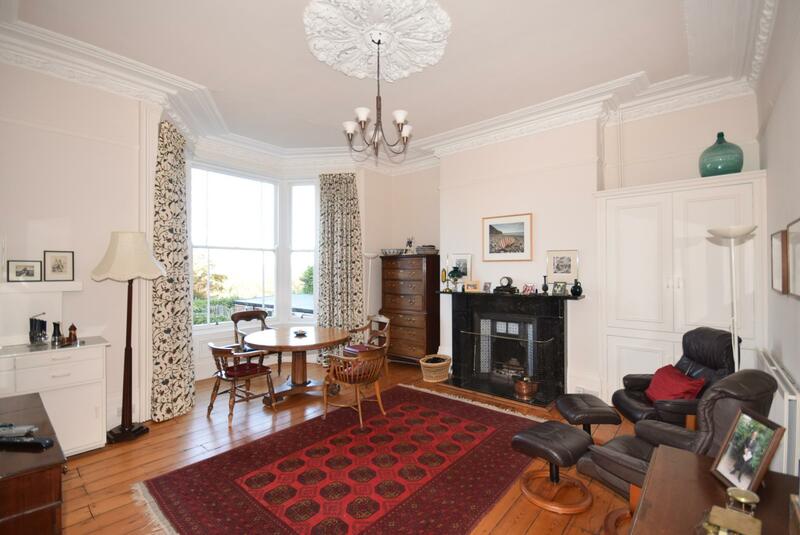 A fabulous formal dining room with sash bay window to the rear elevation overlooking the gardens, decorative ceiling coving, rose and picture rail. There is an open fire with marble surround and minton tiled inset. Double fitted cabinets to one alcove. From the hallway a door leads to the kitchen/breakfast room. 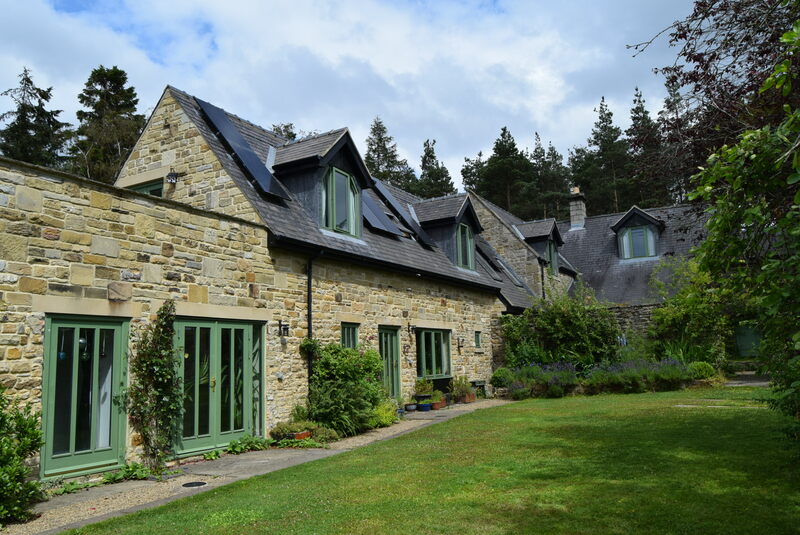 This more recent extension to the property has windows to the side and rear elevations with stunning views over the Tyne Valley. There is a range of base units with hardwood worktops incorporating a double sink and drainer. Integrated appliances include double 'AEG' oven, five ring gas hob and there is space for dishwasher and fridge/freezer. A glass panelled door leads to the rear balcony. From the hallway stairs lead down to the lower ground floor, where there is ceiling spot lighting and a door to the rear porch. There is a storage /utility cupboard used as a pantry/larder, with open shelves and a door leading to a coal store. 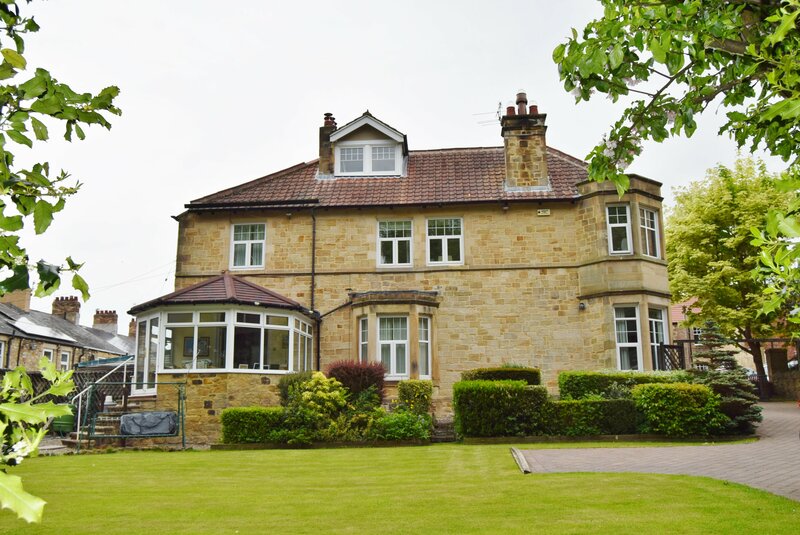 A lovely versatile reception room positioned to the front of the property at lower ground level, with decorative ceiling coving and rose and double glass panelled doors leading to the front garden and patio areas with working shutters. There is a gas fire with original cast iron surround. Fitted carpet. 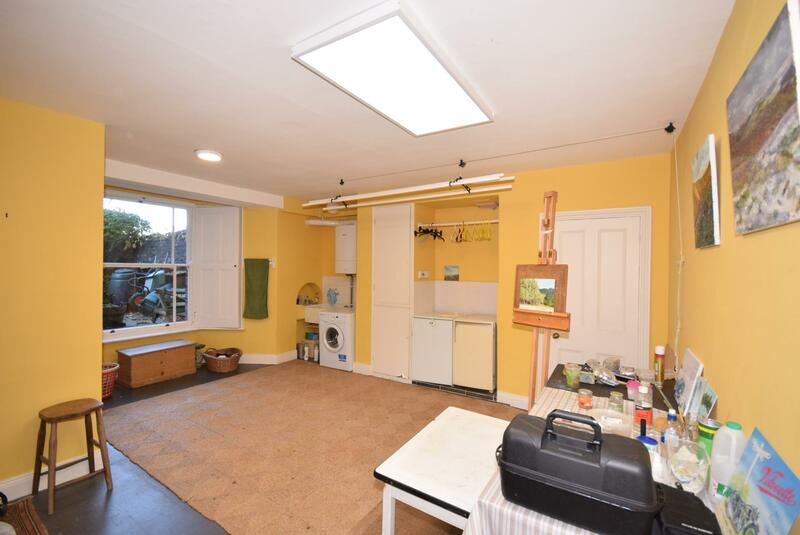 This excellent size reception room is currently used as a utility/laundry room and has a bay sash window to the rear courtyard with working shutters, Belfast sink, plumbing for washing machine and space for fridge/freezer. With close coupled WC and wall mounted wash basin. There is a frosted window to the rear elevation. The rear porch gives access to the rear courtyard and there is tiled flooring, storage cupboard and a door leading to the workshop. This useful workshop has side window looking on to the rear courtyard, original cast iron stove, full lighting and power. Returning to the hallway at raised ground floor level stairs lead to the first floor landing. With a decorative arched window at the half landing with stunning open views, decorative ceiling coving and architraves and stairs leading to the second floor. A door leads to the cloakroom/WC. Fitted with close coupled WC and wall mounted wash basin. There is a sash window to the side elevation. 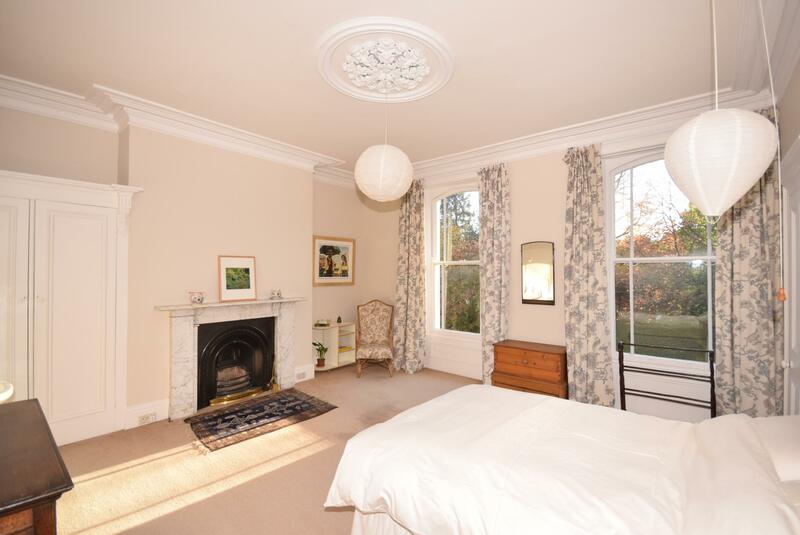 The master double bedroom has two sash windows to the front elevation overlooking the private gardens and woodlands, ceiling coving and rose and double bespoke fitted wardrobe to one alcove. There is a sink unit and open fire with cast iron inset and decorative marble surround. Fitted carpet. A door from bedroom one leads to bedroom three. 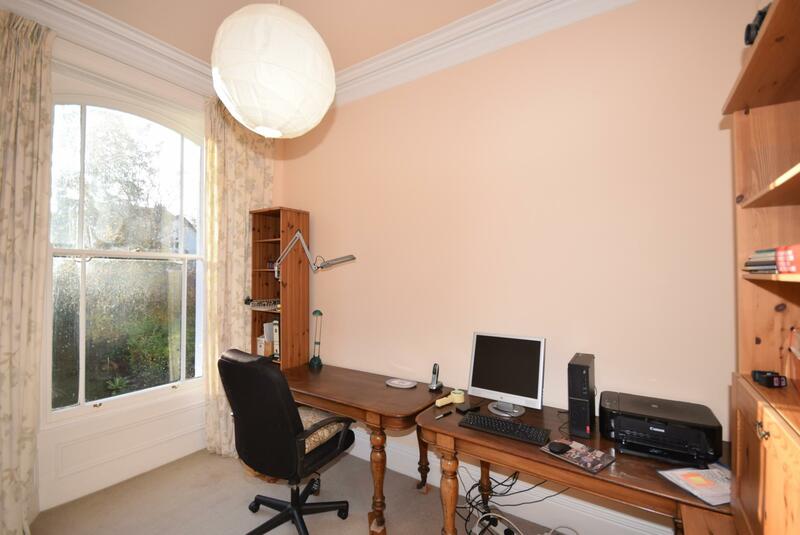 With access from both the hallway and bedroom one, this versatile double bedroom has previously been used as a study, dressing room and nursery and could also be converted to provide en-suite accommodation. Fitted carpet. There is a sash window to the front elevation. 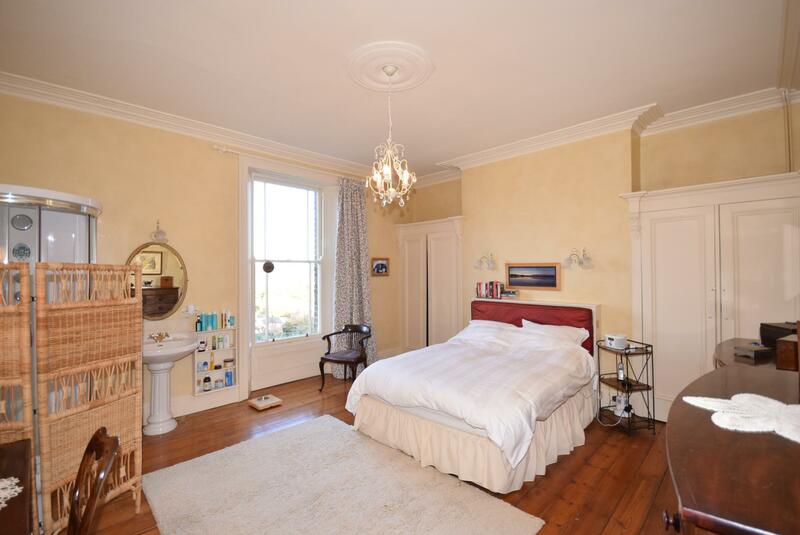 A guest double bedroom to the first floor with sash window to the rear elevation, ceiling coving and rose. 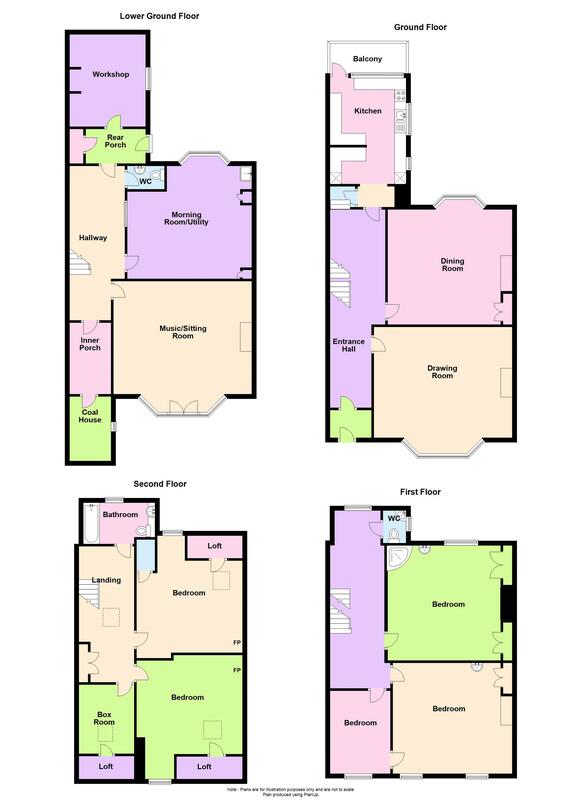 There are two bespoke fitted wardrobes to the alcoves, solid wood flooring and a corner shower area fitted with additional hand basin and bidet, which could be further subdivided to provide private en-suite accommodation. 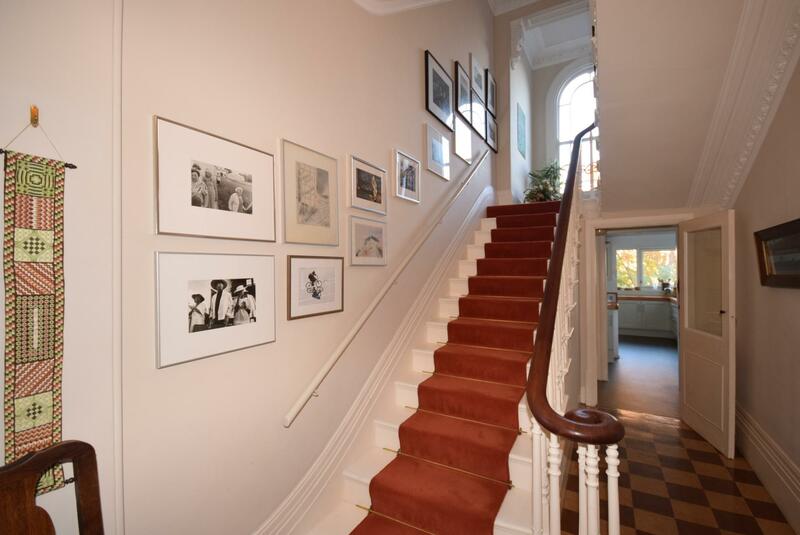 Stairs lead to the second floor landing. With Velux roof light, storage cupboard and doors to the further bedroom and bathroom accommodation. The family bathroom is fitted with a bath with shower attachment and glass screen, wash hand basin and enclosed WC in a vanity unit. 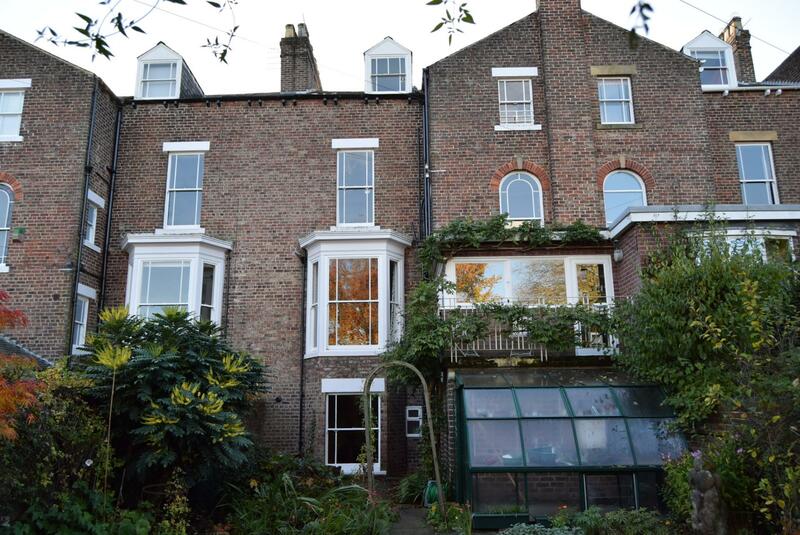 There is ceiling spot lighting, sash window to the rear elevation and ladder radiator. 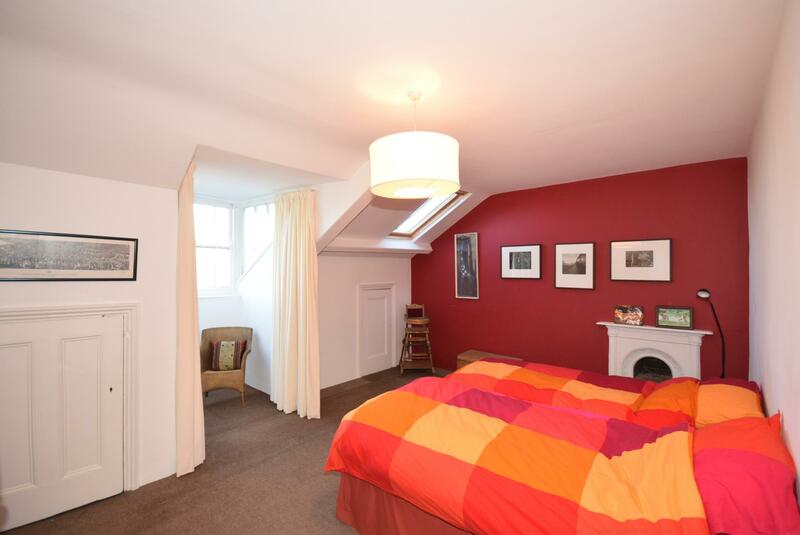 A double bedroom with a feature arch dormer window to the front elevation. Velux roof light and eaves storage cupboard. There is solid wood flooring and a decorative cast iron fire surround. 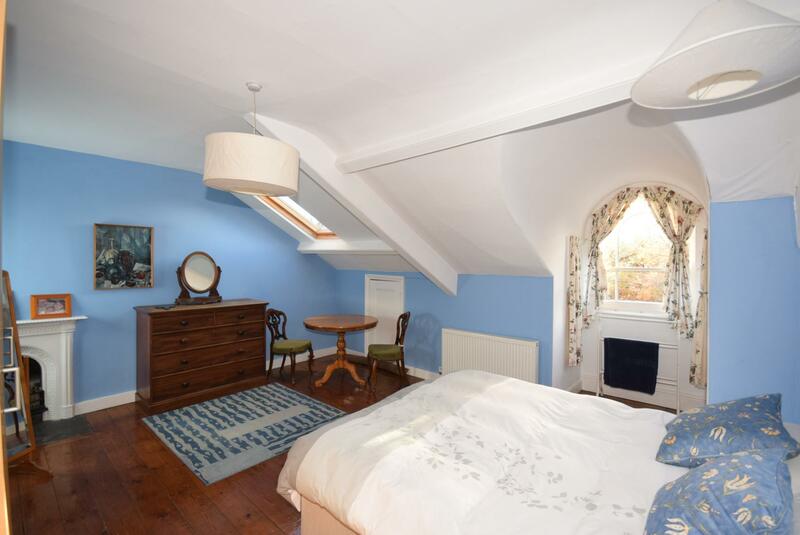 A double bedroom with a dormer window to the rear elevation with stunning open views, eaves storage cupboard, cast iron decorative fire surround. A double bedroom with a dormer window to the rear elevation with stunning open views, eaves storage cupboard, cast iron decorative fire surround and Velux roof light. This room has a sky light, solid wood flooring and eaves storage cupboard. 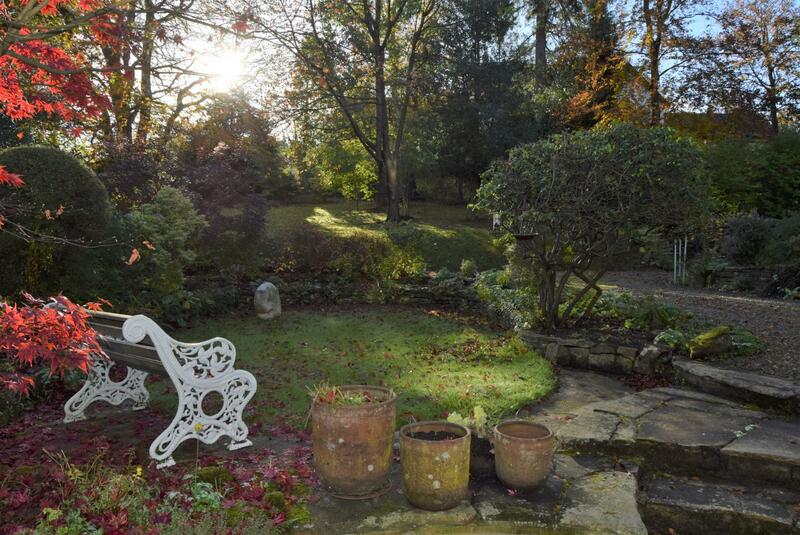 To the front of the property is a beautiful lawned garden and gravel driveway, with steps leading to the front entrance door at raised ground level and access from the lower ground music/sitting room on to the private patio area. 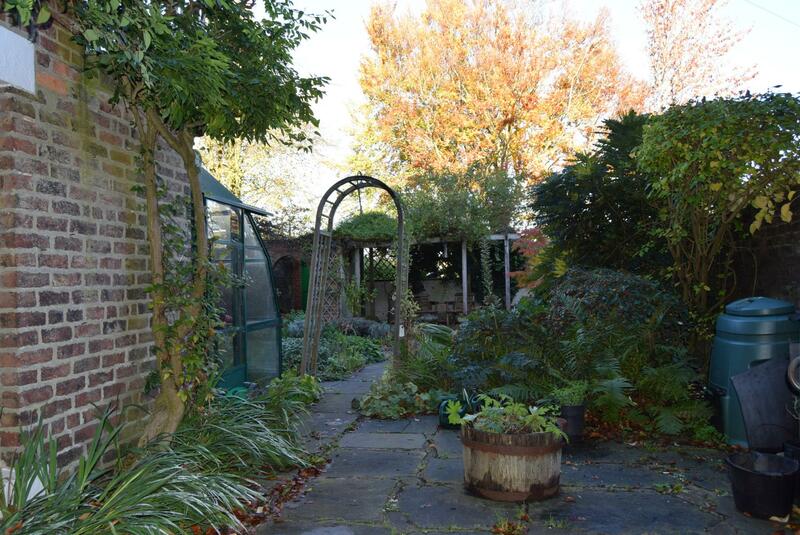 To the rear is a fully enclosed rear courtyard garden with walled boundary which has been fully landscaped. There is a raised balcony accessed via the kitchen with wrought iron railings, glass greenhouse and timber pergola with mature trailing planting providing excellent privacy. An arch leads through to a rear pedestrian gate which provides access to the shared rear lane. The private driveway leading to Hollin Hill Terrace is owned by the neighbouring property number 8, with right of access for all residents to their own properties and shared maintenance responsibility. Mains electricity, water, gas and drainage are connected. Gas fired central heating to radiators also supplying the domestic hot water. Fitted carpets are included in the sale. Recently the owner has had an external power point installed for electric car charging.